How to choose the good aluminum electrical cable? As we all know, whether a product is good or not, we will judge it from the outlook. Whatever product or semi-product, the plant should pay more attention to the outlook in the producing process, and has the strict controlling and inspection. The jacket is the outlook of cable aluminio, so its outlook is also important. The outlook of aluminum electrical cable should be smooth, round and uniform color. Seeing aluminum aerial cable from the outlook, the conductor should be deviated, and has no technical damage, visible impurities, bubble, obvious particles. The aluminum service cable also can’t be squashed. Expect these requirement, the thickness of the jacket has some specific impact on the quality of cable aluminio. As a aluminum cable manufacturers, huadong produces the jacket according to the standards. send the inquiry, you can get the high-quality aluminum aerial cable. What’s the standard of jacket thickness? The jacket thickness can’t reach the standard is unqualified, meanwhile, the thickness over the standard is also unqualified. Huadong cable Group, as an aluminum cable manufacturers, has its own standards to judge the cable aluminio. The main function is to increase the insulated performance, and protect the aluminum electrical cable from technical damage. The jacket should be not less than 0.035D+1.0(mm) (D is the supposed diameter. It is calculated according to the nominal cross-sectional, nominal insulation thickness and number of cores). The jacket thickness of single core of aluminum aerial cable should be not less than 1.4mm, multiple core aluminum service cable should be not less than 1.8mm. As a professional aluminum cable manufacturers, if you leave your message, we can provide the free sample. What can influence the jacket thickness? The mainly reason that course the unqualified jacket thickness are structure and jacket material. 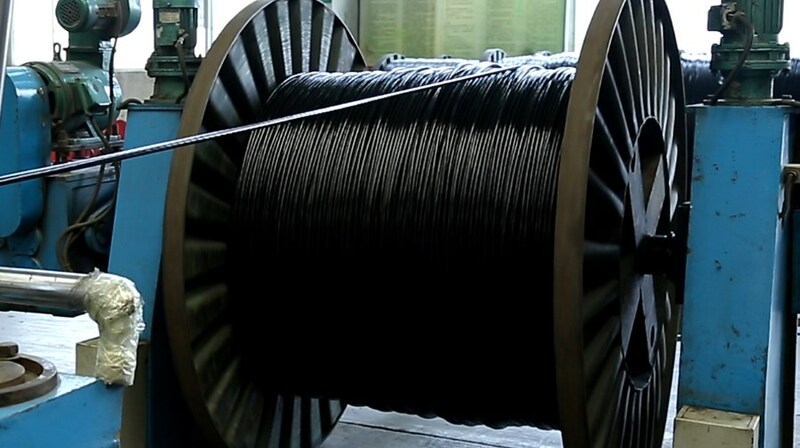 The structure of cable aluminio has problems may course the unqualified jacket thickness. The conductor, insulated layer and weaving density have specific. Aluminum cable manufacturers should produce aluminum electrical cable according to the producing requirement. So it would be not standard thickness if any of them is not unqualified. Aluminum service cable will be strictly inspected before they leave the factory. If you want to see the inspection testing, you can leave your message, we will send you later. Another reason is the material. If the materials of jacket is not qualified, it must influence the thickness of jacket. The jacket of the unqualified thickness will course some problems. It will reduce the service life of aluminum aerial cable. After installation, the electricity will make aluminum service cable produce thermal energy. The conductor’s working temperature should be at 70 ℃. If it is in summer, the working temperature will increase. These thermal energy will dissipate heat from the jacket. If the jacket to thick, the thermal energy can not be given off easily. Under the heat power, the insulated layer will happen some physical and chemical changes, and it will influence the insulated performance. It may be the situation of short circuit, then influence the normal working. 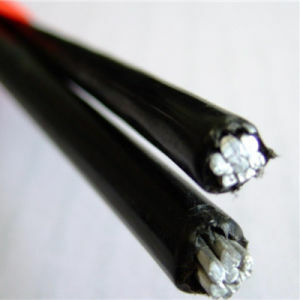 The service life of aluminum electrical cable will be reduced. It will increase the difficulty of installing aluminum. There are many companies demand that the aerial service must have some space to dissipate heat. It can ensure that jacket is not damaged. So the standards is specific. If the aerial service cable is unqualified, it will make some difficulties. Huadong Cable Group provides good quality cable aluminio. If you want to check any details, or visit us, please leave your message. We will send you later. Package&Delivery: Before shipment every types of cables have been rigorously tested.